Note: This driver package includes the Native WDM driver. WDM driver is a monopolization driver. Please avoid this driver is working together with other image software. Otherwise two application will both request the frames and it will cause the unstable. QHYCCD BroadCast WDM driver. This driver is using to share the video streaming to multiple target. Unlike the Native WDM, this WDM driver will need the application software (like the easyTimeStamp) to active it and then send the video in easyTimeStamp software to anyother target software which support standard WDM driver. This driver is not a monopolization driver. Multi-software can sharing the video steaming at the same time. This software is the default software for QHY5III series and QHY COLDMOS series camera to capture and recording the videos. You need download the lastest version from the SHARPCAP website. And replace the qhyccd.dll to the newest version (can be found in QHY174GPS-DEMO folder), Or use the version update software of QHYCCD to make sure all driver/software is the lastest one. The current SharpCAP should support the QHY174 GPS function. It has a window to display the GPS time information. Please note the GPS data is also embeded in the top of the image head (some pixels on the from first image pixel data) . You can readout this information accroding this data structure in this document. CMOS Timing: Normally speaking the CMOS works based on the CMOS input clock. So the exposure starting and ending time is sync with this clock. CMOS Strobe and Trigger: Some CMOS sensor has the strobe signal to indicate the starting and ending time of the shutter. It can be used for flash etc. But this signal maybe not precision to the real exposure starting and ending time. The delay may exist. The Trigger is an input signal to CMOS sensor and the CMOS sensor will starting exposure after received this signal. It still not so precision and the delay may exist. Global Shutter. Most Interline progressive CCD sensor is global shutter and all the pixel start and finish exposure at the same time. But most cmos sensor is rolling shutter. Rolling shutter is a line scan based exposure. Different line is exposure at different time. This is not very suitable for high precision time domain imaging. Some CMOS like the IMX174 used in QHY174GPS is the global shutter and the start/ending exposure time is the same for all pixels. PPS signal. The PPS signal is come from the GPS module. It gives the precision time of one second begins. This time is well synced in all GPS satellite and it is about 50ns error (three delta error) with the UTC time? In QHY174 this signal is used to clear the local 0.1us(10MHz) counter to zero. Local 0.1us Counter (LUC). In order to get the microsecond local clock. The QHY174GPS has a LUC. The LUC's clock is come from a 10MHz VCOX(voltage controlled oscillator crystal). This counter is used to count the start and ending time of the shutter measure waveform. Shutter Measure Waveform. This waveform is a signal in the QHY174GPS. It is defined by two register. One edge of this waveform is the exposure beginning time and another edge is ending time. The register need to be set to generate this waveform. The camera will use LUC to get the count of this waveform then get the precision start and ending exposure time which is sync with GPS PPS signal. Calibration LED. The camera has a built-in calibration LED. Which is located in one edge of the CMOS sensor. When the LED flash. The CMOS sensor may "see" this light. The Calibration LED can emit a light pulse. The width of the light pulse can be defined by a register. The position of the pulse can be defined by another register. The LED's control logic clock is synced with the CMOS input clock. This pulse is used to calibration each exposure time's start and ending time. You can adjust start time of this pulse and check the image, for shutter starting time, When you increase the pulse position and found the LED pulse from invisible to visible. This position is just the starting position. When you increase the position and found the LED pulse from visible to invisible. This is the ending position. Master/Slave Mode. The QHY174GPS works in two modes. Master mode is that the CMOS is free running and the camera will make the time stamp of each frame's starting and ending exposure time. The slave mode is that the Camera is triggered by the time. You need set a start time and the interval to each two frames. The camera will wait this time comes and begin to exposure continuous at this interval time. In current FPGA code the slave mode does not support ROI. The master mode support ROI. 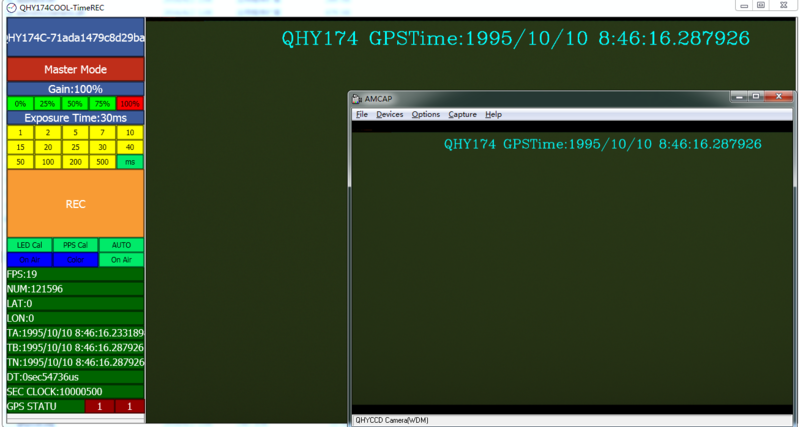 A demo software called EzTimeStamp is comes with the QHY174GPS camera. This software has some basic function. You can use this software to learn how the QHY174GPS works. Click "Connecer.t" Button if camera connected to computer it will find the camera and the series number. 0: GPS is just powered up. 3. GPS get locked. The PPS signal comes. The time is precision. You may need to wait some time to get it locked. The button of "onAir" is using QHYCCD BroadCast WDM video driver to send the video streaming out . 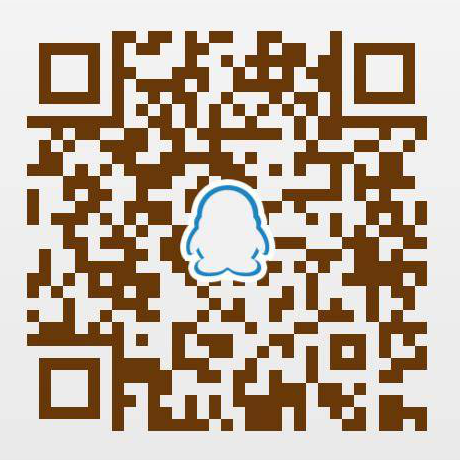 You can use this function to do live video broadcast. If you want to get very precised time of the start and end of exposure, the on-camera calibrate LED need to be used to do the calibration. The theory of the calibration is :. There is two register in the camera , which can be set. The register value is the distance from the vertical sync signal. When this two position is defined, the messurement waveform will be generated inside the camera. And the camera will use GPS clock to messure the rasing edge and falling edge of this messurement waveform. The messured time is called TA, TB in the software. The on-camera LED will emit a very short flash light. The time of this flash is assoicated with the two position. So when you adjust the position, you can control the time that the flash generated. And if the flash happens during the exposure period, you will see this light from the image, if the flash happens outside of the exposure period, You will not see this light. When you increase the position, if you see the light in the image and later you see the light is gone, it means you are moving the time position of the flash at the end of the exposure. If you see there is no light and when increase the position you see the light later, it means you are moving the time position of the flash at the beginning of the exposure. So you can find the position of the beginning and ending of the exposure. 2. Set the gain to max value to allow you see the LED light. 4. Click LED cal to enable the LED calibration. You will see there is two adjust bar come out. Left group is the register of define the ending of the exposure . Right group is the register of defining the beginning of the exposure time. 5. Set the left group to the value of 2850. 6. Increase the value a little bigger and a littler smaller, You will see the light on the image disappear/ appear. Finally you can set the value just to 2850. You have successfully to find the position of the ending exposure. 8. Increase the value a little bigger and a littler smaller, You will see the light on the image disappear/ appear. Finally you can set the value just to ......you have successfully to find the position of the beginning exposure. 9.Please check if the DT value. DT means the Delta T. It is the time difference of the beginning and ending of the exposure. It should be about the exposure time(unit is 0.1us). For example,For 5ms exposure time, it should be about 50000. If it is about this value , it shows the calibrate value is right. 10. Click the "save" button. The calibrate value will be save into the INI file of the EzTimeStamp. At the same time you will find the color of the "5ms" button color changed from green to yellow. It shows the calibration date of the 5ms is saved. In future you do not need to calibrate it again. Software will read this calibrated value from INI when startup. Note: The last version has added the continous frame save function. Video Live BroadCast through Internet is an interesting thing. Now you can use QHYCCD's BroadCast WDM Video driver and EasyTimeStamp software to share the astronomy realtime video to the world. 1. Please install the BroadCast driver. 3. Please open the amcap software for first. You will see two camera. 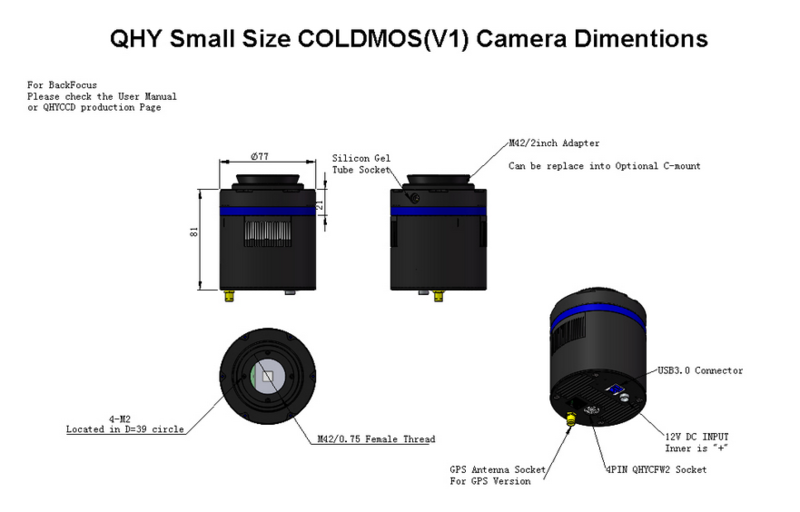 One is "QHYCCD Camera (WDM)". This is the BroadCast driver. And another is QHY Camera (Native WDM). This is the native WDM driver. If you have connect USB cable to camera and select the broadCast driver you may see grey screen. This is due to the video streaming has not been sent out from easyTimeStamp. If you select the native WDM driver, you will see video immdiately. But this video is not sending by easyTimeStamp, just go through the native WDM driver directly. 5. run EasyTimeStamp software. You will see the video appear on easyTimeStamp software. And click the "OnAir" Button. The video streaming will be send to AMCAP. Please refer the help document of the QHYCCD API to do the basic image operations. The following is the additional API to operate the GPS part. The VCOX is 10MHz output but the frequency will drift with the temperature and time. In order to get accurate 10MHz frequency you can set it . For first you need to know the current frequency of it. You can read the clock count of each two PPS signal. If it is 10MHz, the count will be 10,000,000. (Please note when the GPS is not locked, there is no PPS signal and the count will be 10,000,500, this is no use, please do not use this value to calibrate the VCOX). Please do not adjust the frequency beyond the counter of 10,000,500. Because the FPGA will regard the 10,000,500 is the condition that the PPS signal losing. is_slave: 0:master mode 1: slave mode. This value should be set depend on which mode camera is using. When you changed the exposure. You must set this position. The measurement circuit will use this position as the shutter starting time. When you changed the exposure. You must set this position. The measurement circuit will use this position as the shutter ending time. When in slave mode, set the parameter. The target_sec is the "JS" that QHYCCD defined. It is reference to a time. Latitude is the current latitude report by GPS. Latitude is the current longitude report by GPS. The counter value of two PPS. it should be about 10,000,000. But since the temperature of the crystal. It is not exactly the 10,000,000. You can adjust the VCXO to let it close to it. And when the PPS signal lost, it will become 10,000,500. When exceed this value, FPGA will generate a second to instead of the GPS PPS signal to avoid the second counter lost one second. and maybe you can use the following API(windows or Linux) to convert the JD time to local time. no matter where the camera located in, no matter how long distance between them. You can get the sync exposure start time for all QHY174GPS camera. This is a wonderful function and you can build you observe team very fastly and let them get sync capture, up to 1us precision, arround the whole earth. the target_sec is the JS we defined in our system. The second you get from the image head is just this value. expTime unit is us. Please note the deltaT must > expTime. Now we want to let the camera start exposure at 0:40:000000 (10minutes later). The exposure time is 100ms per frame. The interval is 200ms per frame.